I'm showing my age here, but I can not say "pecan pie" without saying it When Harry Met Sally style. Earlier this month I shared a list of our family's traditional Thanksgiving deserts and I promised to share the recipes. Last Saturday I shared a link to my chocolate pie recipe. Today, it's Pecan Pie's turn. Preheat oven to 350 degrees. 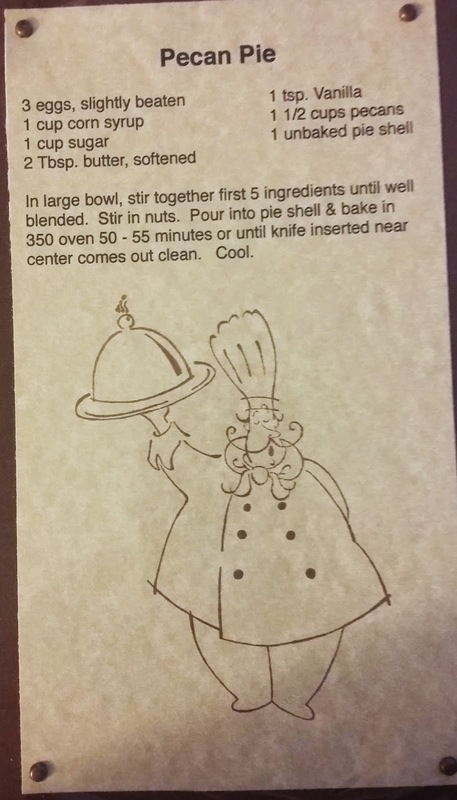 Meanwhile in a large bowl, stir together the first 5 ingredients until well blended. Stir in nuts. 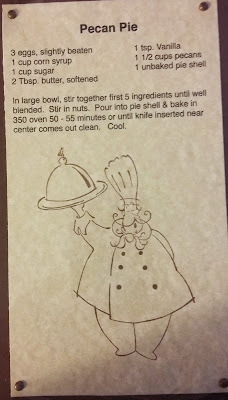 Pour into the pie shell and bake in at 350 degrees for 50 - 55 minutes or until knife inserted near center comes out clean. Cool.